If you would like to host a workshop at the convention then please fill out the application. 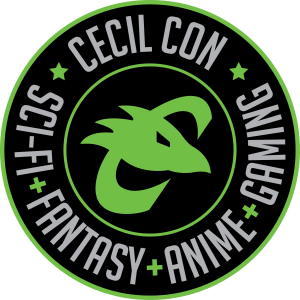 We’d like to have you attend to make Cecil Con a success! Welcome to the information page for workshops here at Cecil Con 2019. If you are interested in running a workshop then please make sure you have read through all of our rules and info before filling out the application below, and don’t hesitate to contact us with any questions. – Technical support will be available as requested. – Profanity is not allowed. – All workshop instructors must be at least 18 years old. The lead workshop instructor, for our purposes, is the individual submitting the application. Please provide the information below as the main contact person. Thank you! Please list the names of the other instructors in your group, separate with comma. Please include descriptions of any activities taking place in this workshop. Also include what the end result of your workshop will be. For example, describe the finished product or result that attendees will walk away from the workshop with. Short description suitable for the convention program. This may be very similar to the above workshop description, and that's fine. How you would classify the primary topic of your workshop. Scroll for options. Have you run workshops before at other conventions, events, or classes? If so, please list some or all of those conventions, events or classes.